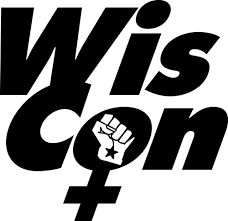 Today, I attended the Science Fiction in Translation Panel at WisCon: the feminist science fiction convention held each year in Madison, Wisconsin (#SFinTranslation, #wc40). Moderator Jaymee Goh and translators S. Qiouyi Lu (Chinese into English) and Arrate Hidalgo (English into Spanish) explored the ins and outs of translating science fiction, discussing their own experiences with such things as tricky grammatical issues, submitting translated stories to magazines, and capturing the spirit of a story without becoming too literal. Lu, whose latest translation is “Chimera” by Gu Shi (Clarkesworld), talked about how Chinese sci-fi is rooted in science and authors tend to include large amounts of technical information in their narratives. It is up to the translators, Lu explained, to decide how much of that information to keep, based on American readers’ tastes. Chinese sci-fi is also overwhelmingly concerned with broad philosophical questions like “what does it mean to be human (capital “h” human)?” Since Chinese and English belong to different language families, it can be difficult to translate Chinese metaphors, given that certain small phrases contain much larger cultural contexts/stories. Hidalgo, translator of the novel Wicked Gentlemen, talked about Spanish as a gendered language and the complexities of translating English texts into a language that is as diverse as the people around the globe who speak it. Further, Hidalgo mentioned recent sci-fi from Argentinian authors Angélica Gorodischer and Teresa P. Mira de Echeverría, as well as anthologies recently translated from Spanish into English: Terra Nova: An Anthology of Contemporary Spanish Science Fiction (Sportula), Castles in Spain (Sportula) (reviewed on this site), and Spanish Women of Wonder (forthcoming). Hidalgo also mentioned the forthcoming novel from Aqueduct Press: Monteverde: Memoirs of an Interstellar Linguist by Lola Robles, translated by Lawrence Schimel. Overall, it was a fascinating discussion, with great questions from the audience at the end. Looking forward to next year!